The introduction of the background story, characters were also of important and had to be presented in a memorable way. 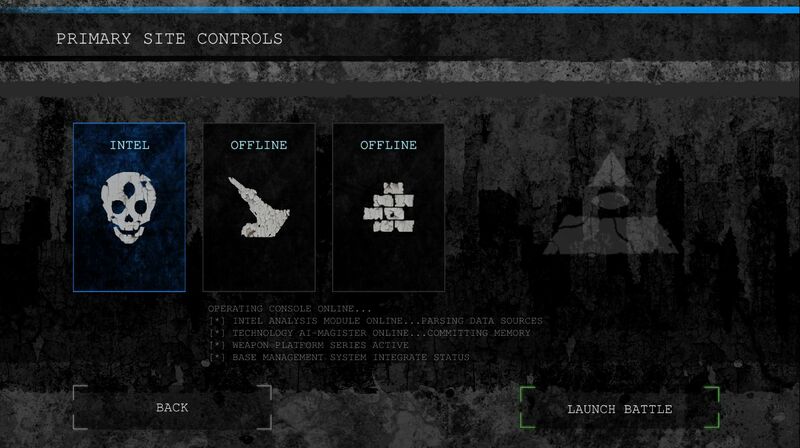 Since the state of civilisation is in a state of tatters in this storyline, the interface needed to be grungy and deteriorating - yet with a touch of technology. The majority of the interface is intended to be monochromatic, which represents a lack of life and spirit. A few splashes of colour draw attention. With the exception of the gameplay, a screen rarely has more than three vivid colours. 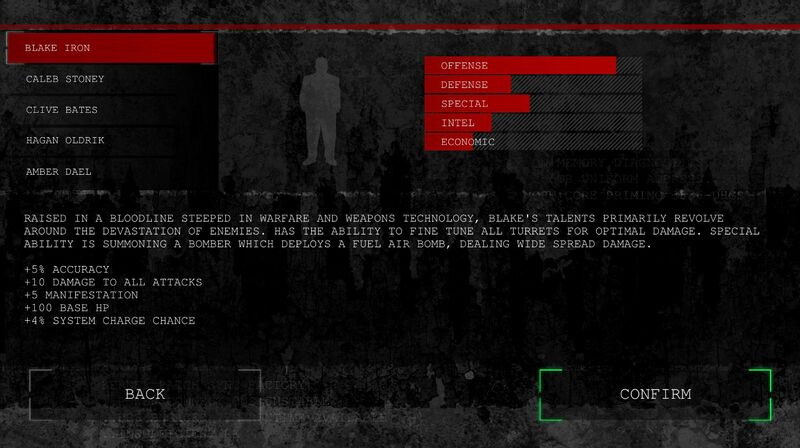 The player gets to select a commander, who brings various attributes to the table. With five commanders, most of the styles are covered from aggressive and warmongering to calculating and focused on material gains. Success is measured differently and achieved in different ways. Each commander will have their own story and perspective behind the war. And each also bring their own super weapon - some more effective than others. Now the game is playable, it is ripe for balancing and creating various build strategies.